This grilled chicken coupled with my cucumber yogurt sauce is easy to make, moist and has great flavor. My secret to tender chicken is very simple: lemon juice. If you have 5 minutes in the morning, throw a few chicken breasts in a large plastic resealable bag (am I allowed to say Ziploc? 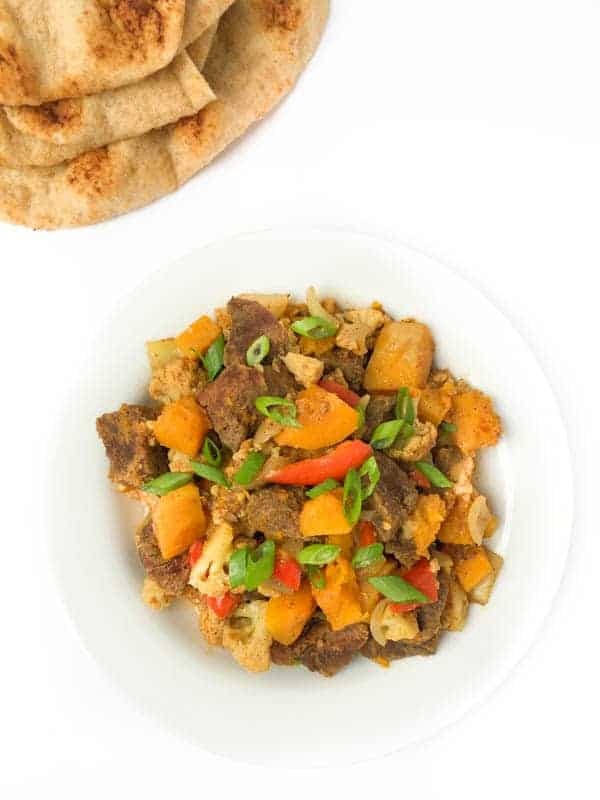 ), add lemon juice, garlic, olive oil, salt and pepper and you are well on your way to a quick, easy and healthy dinner. The best part? 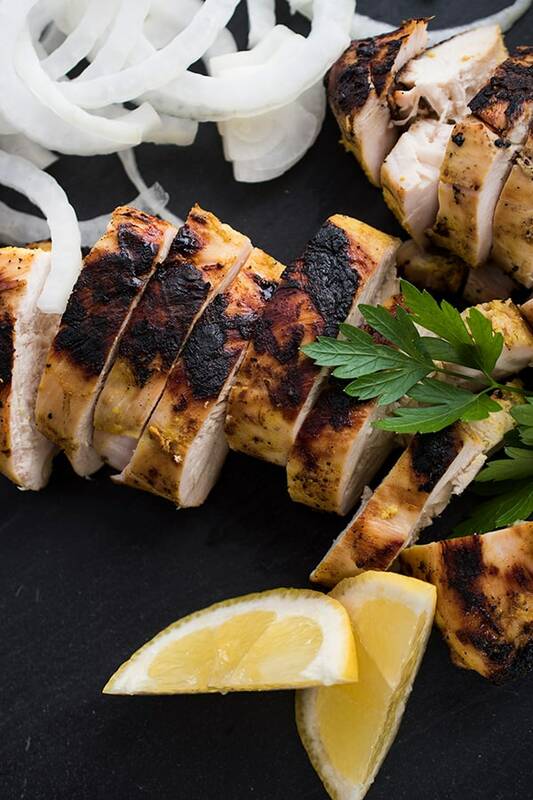 Lemon juice has almost zero calories and is loaded in antioxidants and of course, Vitamin C. Forgot to marinade the chicken this morning? 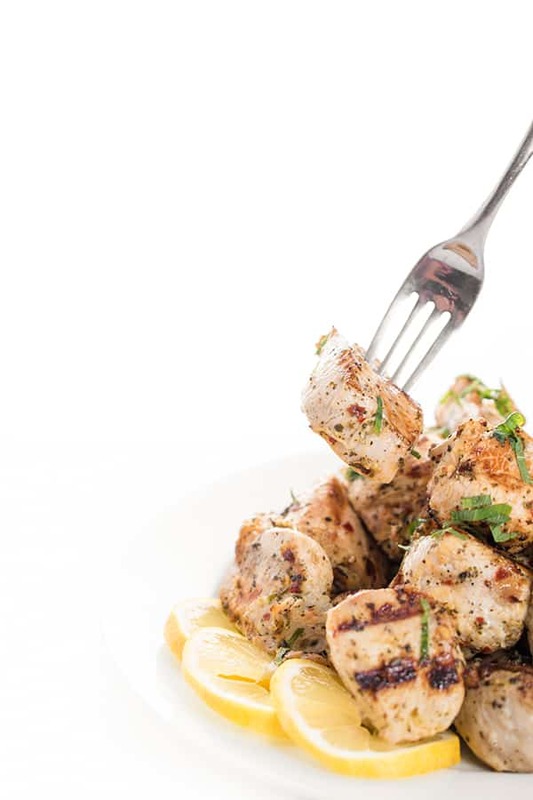 Not a problem – chicken only needs 30 minutes to effectively absorb a marinade. I’ve actually read a few articles in Cooks Illustrated proving that regardless of whether you marinate the meat for 30 minutes or 8 hours, it penetrates the same distance into the meat. 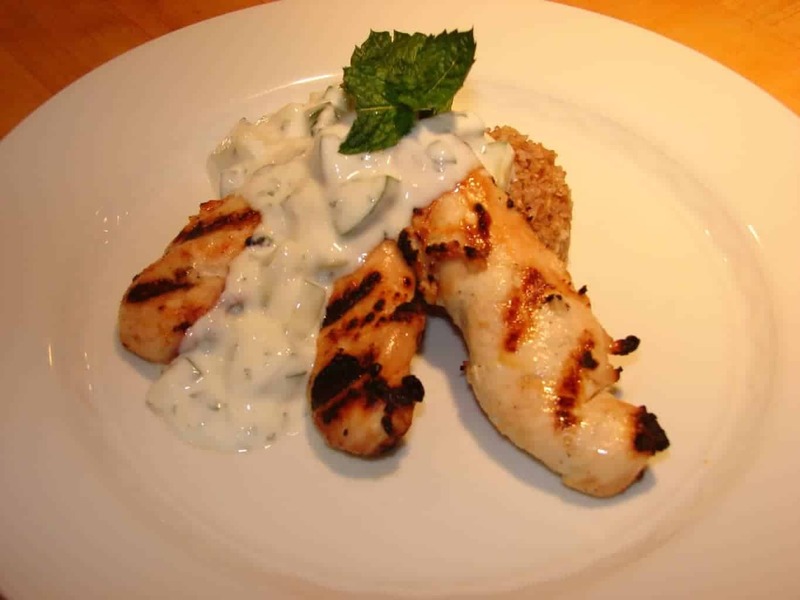 I love serving grilled meats with a cucumber yogurt sauce. If I have fresh dill, I’ll throw together a Greek tzatziki sauce or if I have fresh cilantro, I’ll make an Indian raita. 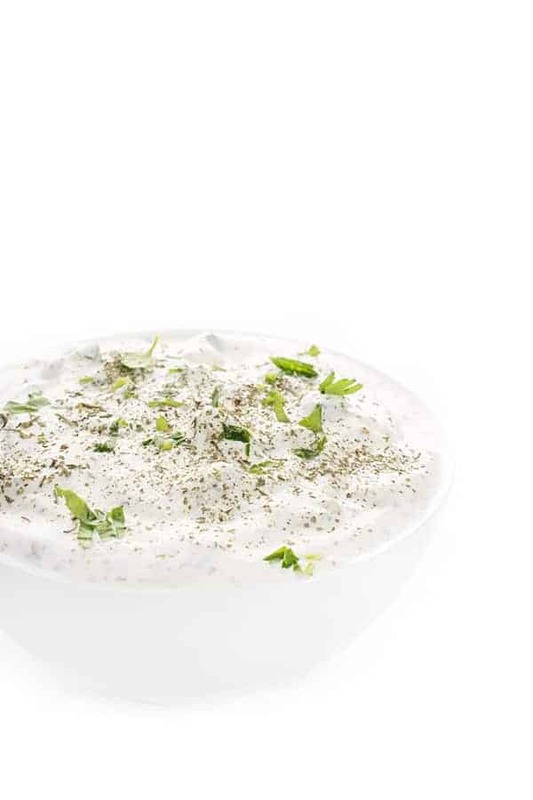 Today, however, I am sharing the Syrian version commonly known as cucumber laban. 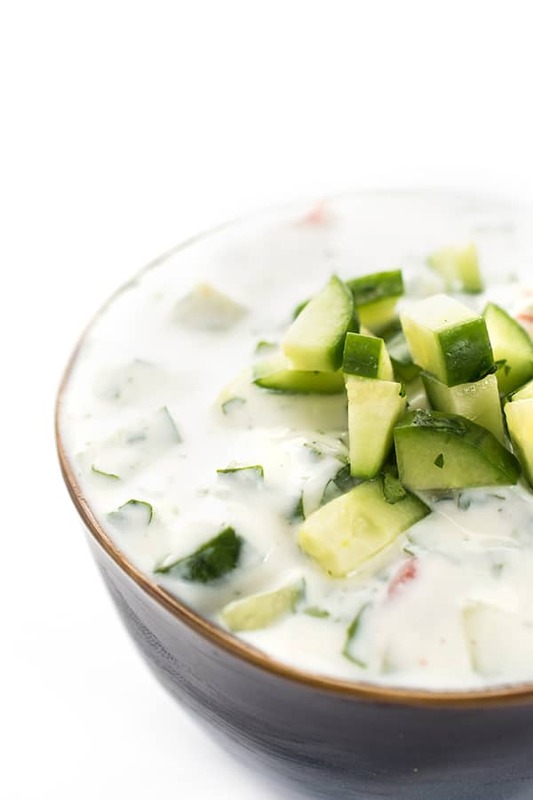 Instead of dill or cilantro, we pair the cucumber and yogurt with fresh mint. (YES!! Another use for the mint over powering the garden!) And of course, there is always a bit of lemon juice and plenty of fresh garlic. Don’t worry about your dinner guests – two garlics cancel each other out. Place all ingredients into Ziploc bag and seal tight. Combine gently with your hands to ensure all chicken is coated evenly. Marinade for 30 minutes or overnight. I don’t see the recipe for the cucumber yogurt sauce…am I somehow looking right over it? Thanks! This is another favorite in our house!!!! Thank you so much…love the finding all the new ways to use lemon. I was not….NOT…a yogurt fan at all EVER….then I started making your dishes with the no fat plain greek yogurt…and I am in love…I love this yogurt. I spread it on rice cakes…and I keep this sauce on hand as well…. Thank you for all your wonderful recipes…. I’m so so thrilled to hear it! Can you make the yogurt sauce the night before and have it ready before hand? Absolutely! The yogurt sauce is good for 2-3 days in the fridge. Enjoy! !